Associate Justice Cielito N. Mindaro-Grulla was born on June 17, 1950 in Cauayan, Isabela, to the spouses Bienvenido Gammad Noriega, Sr.(deceased) and Socorro Gabriel Munoz. She is the oldest among nine (9) siblings, namely (in order of birth): Cielito (Baby), Bienvenido, Jr. (Boy) (deceased), James (Butch), Maribel (Bel), Rosalinda (Bubut), Socorro Victoria (Bibic) (deceased), Judith (Bongbong), Charles (Boyet) and Lalaine (Babette). She and her deceased spouse Judge Cesar Jose Mindaro are blessed with five (5) children: Clare (married to Christian Panlasigui Medina), Catherine, Caroline, Cesar Augustine and Cecilia. She has a granddaughter named Corinne Teresa M. Medina. She is now married to Mr. Gil Gatchalian Grulla. Justice Mindaro-Grulla finished her elementary (as Salutatorian) and high school (as Second Honorable Mention) education in 1962 and 1966, respectively, both from St. Ferdinand College, Ilagan, Isabela; her Bachelor of Arts, major in Political Science (after 3 ½ years of coursework) in 1969-70, and Bachelor of Laws in 1974, both from the University of the Philippines, Diliman, Quezon City. Everything happens for a reason and for the last thirty-five (35) years, she has been in government service. While waiting for the bar results in 1975, she was employed as Commodity Specialist with the Department of Trade. 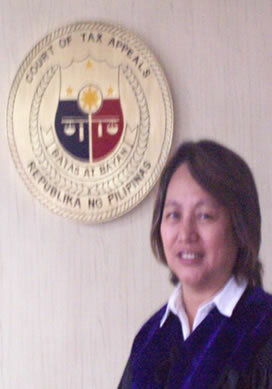 After passing the bar, she worked in different government agencies, like: the Board of Investments as Legal Officer; the Court of Appeals as Attorney-Researcher; the Department of Justice, first as State Counsel, and as 2nd Assistant City Fiscal or Prosecutor III of Quezon City with part-time detail to the Office of the Undersecretary/Secretary of Justice; and the Regional Trial Court of Manila, Branch 29, as Judge for about thirteen (13) years. She joined the academe in 2003, as Instructor at the New Era University and later at the Pamantasan ng Lungsod ng Maynila (PLM) and the Polytechnic University of the Philippines (PUP). She attended various trainings and seminars. She has two (2) published articles, entitled "The Prosecutor: His Mission" (which was First Prize Winner on the occasion of the Quezon City Prosecutors' Annual Service Accountability Report in 1989) and "Update & Upbeat on a Manila Hall of Justice in 2009". On the occasion of the 437th Founding Anniversary of the City of Manila (2008), she was among the awardees as Outstanding RTC Judge. Prior to her promotion to the Court of Tax Appeals, she was the incumbent Executive Judge of the Regional Trial Court of Manila. Justice Mindaro-Grulla was appointed as Associate Justice of the Court of Tax Appeals (CTA) on November 27, 2009 and she took her oath of office on December 9, 2009. She is a member of the CTA Second Division and the Personnel Selection Board (PSB). She is the current Chairperson of the CTA GAD Focal Point.